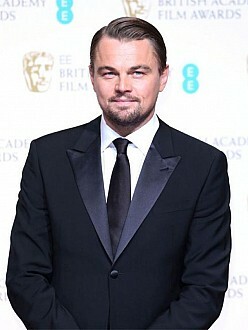 Leonardo DiCaprio auctioned off two private Sir Elton John concerts for $3 million in aid of his environmental foundation. The 40-year-old Hollywood star – who’s a dedicated environmentalist and has previously described global warming as ”the number-one environmental challenge” – staged a party for 1,000 guests, including the likes of Naomi Campbell, Orlando Bloom and Tommy Hilfiger, in St-Tropez, France and, in total, raised more than $40 million for the Leonardo DiCaprio Foundation. The evening’s entertainment – which extended until 4:30am – featured a performance from DJ Cassidy, while comedian Chris Tucker also showed off his Michael Jackson-inspired dance moves. The so called dedicated environmentalist Leonardo DiCaprio flew private plane to Fort McMurray. so what’s he supposed to do? Hitchhike? but then, that uses up carbon fuels also! Maybe crawl on his hands and knees? Maybe teleport? What do you expect, he should hitchhike. Fort McMurray has oil and jobs. When millions of dollar are being donated for a good cause, the influence these people have can change lives and create debate on the environment. The biggest problem is the control of oil and how it used in every aspect of our lives.